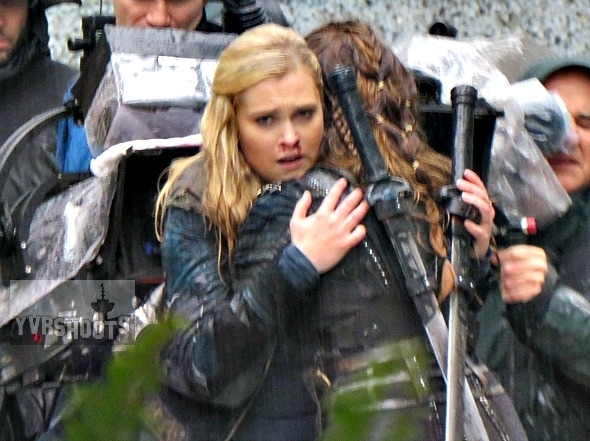 The 100 surprised local fans this morning with a public shoot in downtown Vancouver. 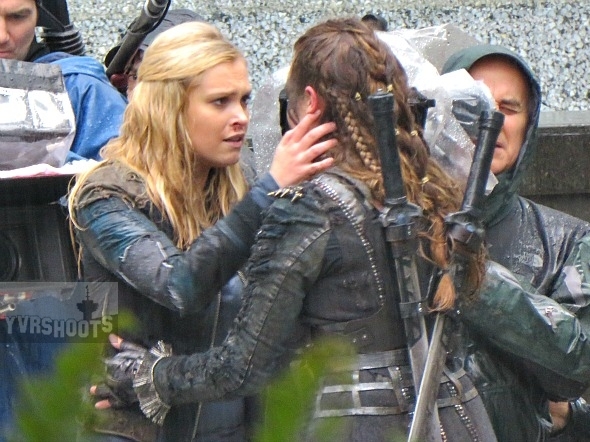 And a big Clexa one to boot. 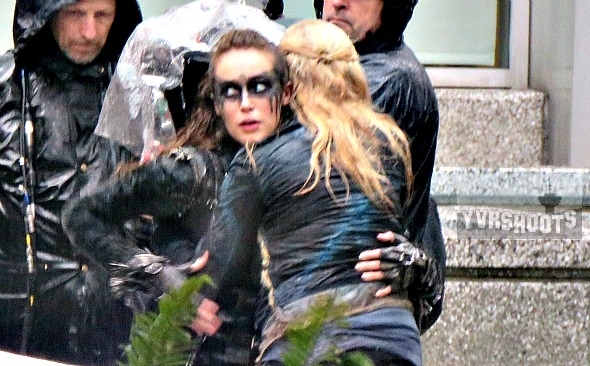 Last season Lexa (Alycia Debnam-Carey) betrayed Clarke (Eliza Taylor) but here they are late in season 3 with Lexa coming to Clarke’s rescue as she is attacked by Grounders in suits. What? Is this a dream sequence? Or something real? Are we looking at something months after Clarke goes on the run? Is this the City of Light? It’s hard to put it in context. We’ll find out more when season 3 premieres tonight on The CW. 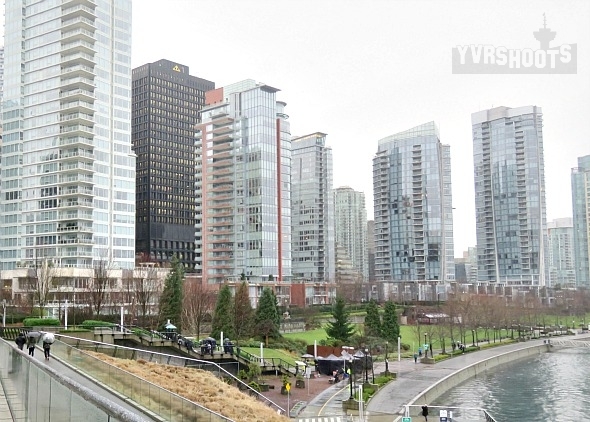 The 100 moved production to Cordova Street. 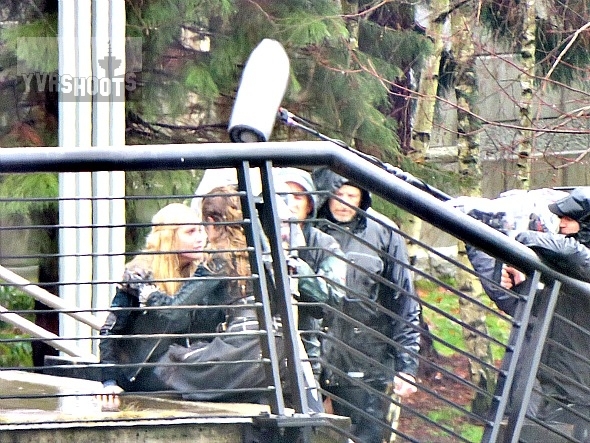 And then even closer to the waterfront, setting up another Clexa scene on the stairs to the seawall west of the Vancouver Convention Centre. GOD BLESS YVRSHOOTS FOR BEING THERE TO TAKE THESE PHOTOS. Hi. I am writing from London. I am a huge fan of the 100. I have been ever since season 1. I love the characters and the story, which I am sure many has told you a number of times. I know Alycia that you are the main cast in the fear of the walking dead. But I was really saddened by your departure of the 100. I know you will be in the finale of season 3. However you will be missed and your character Lexa who you portray incredibly. I love all the characters in the 100 as they all show a different dynamic of what their character has been through. But Lexa has been my favorite character. She had it all. I am going to be cheeky and ask if there is anyway AMC could allow you to continue to be at least a guest character in the 100, even if it means a few episode. I would love to have you back for season 4. Take care and I hope you all have a wonderful journey ahead of you. Ever since I watched season 1-2 I wanted to see more seasons not just season 3. I am a big fan of the 100 and the characters I really them all. I definitely tell you guys that I like alycia’s character of being lexa. She’s the powerful commander which I really like. I also want aylcia to be in the 100 if there is season four and I didn’t want her to die in season 3. I didn’t expect that lexa will die because of the gun shot in season 3. 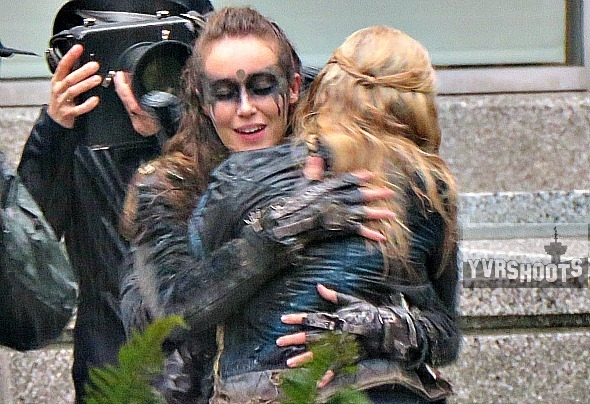 I wish aylcia will come back to the 100 in season 4 and if not I’ll be disappoint. What makes all of this so disturbing is that we THINK we get a glimpse of the finale when in reality, none of this is “real” because it’s all an illusion (or dream)……which is also why JR and company are ok talking about this and tweeted about it. Disgusting! How do you know it’s an illusion or dream and not some alt universe or another dimension or something? Hi when were these pictures taken or filmed? The date please! 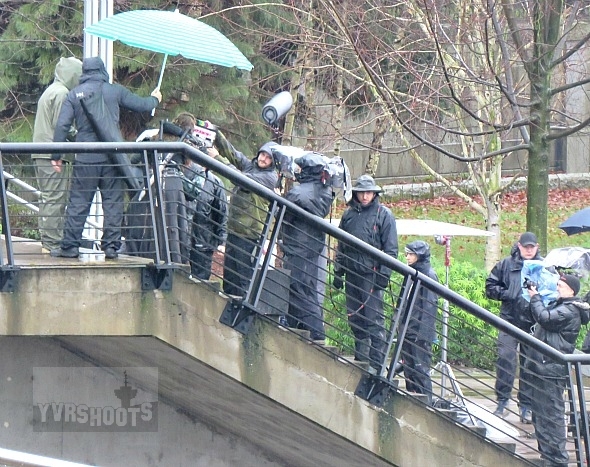 Took these photographs on January 21st when The 100 was filming its season 3 finale in downtown Vancouver. Will there be season four on the 100? Yes. The CW renewed The 100 for a fourth season. When does the100 start shooting season 4? Love this watching at Netflix….